Springs Preserve is a very unique and beautiful location in Las Vegas to get married at. 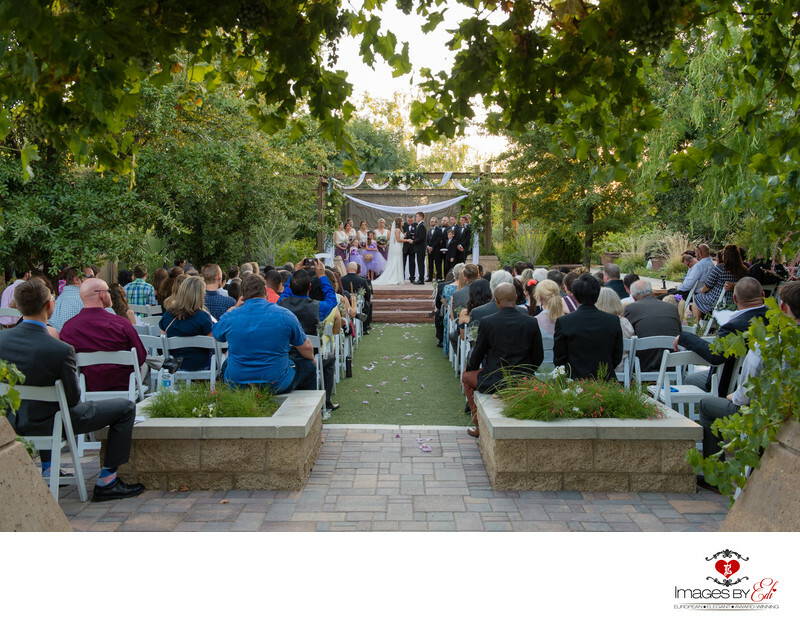 The couple choose an outdoor Garden Arboretum wedding ceremony. The grandfather of the bride married the couple, while they were surrounded by their bridesmaids and groomsman on the podium and friends and family members seated around them. Beautiful greenery and trees are framing the image. Location: 333 S. Valley View Blvd., Las Vegas, NV 89107.